Difficult inground installations are now a thing of the past with the new inground unit from Anolis. The ArcSource™ Inground 24MC Integral has been specifically designed to simplify installation. The fixture only requires mains power when combined with the wireless control capability - drastically reducing installation time and cost. High light output comes from six powerful MultiChip LEDs and it can be used with a variety of optics, from narrow to wide, in addition to an asymmetrical option. The light source can be remotely tilted +/- 15° from the horizontal position, always ensuring accurate illumination of the selected surface. On top of that, ArcSource Inground 24 Integral can be equipped by antiskid glass with highest standards of certification for anti slip usage while having no impact on the outstanding quality of colourmixing capabilities. 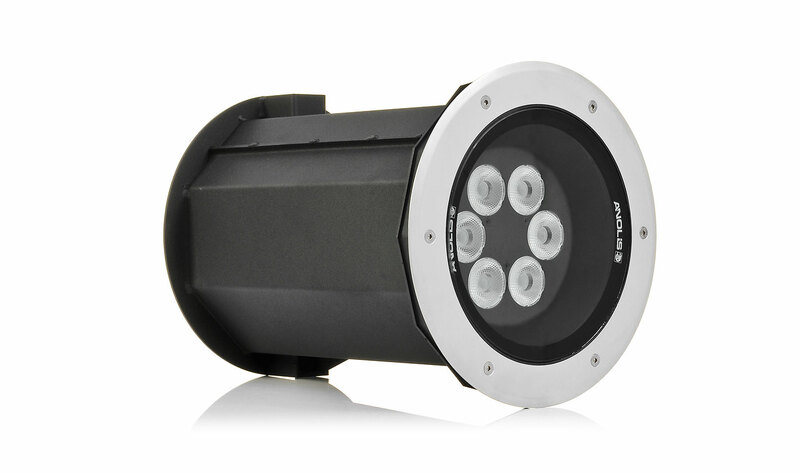 Inground light source - integrated electronics & remote adjustable beam position. Clear/ Anti-Skid glass.